There is no shortage of virtuosity amongst the members of Flook, but the unique impact of this band stems from the wholly intuitive, almost symbiotic, exchange between the various flutes, frets and skins. 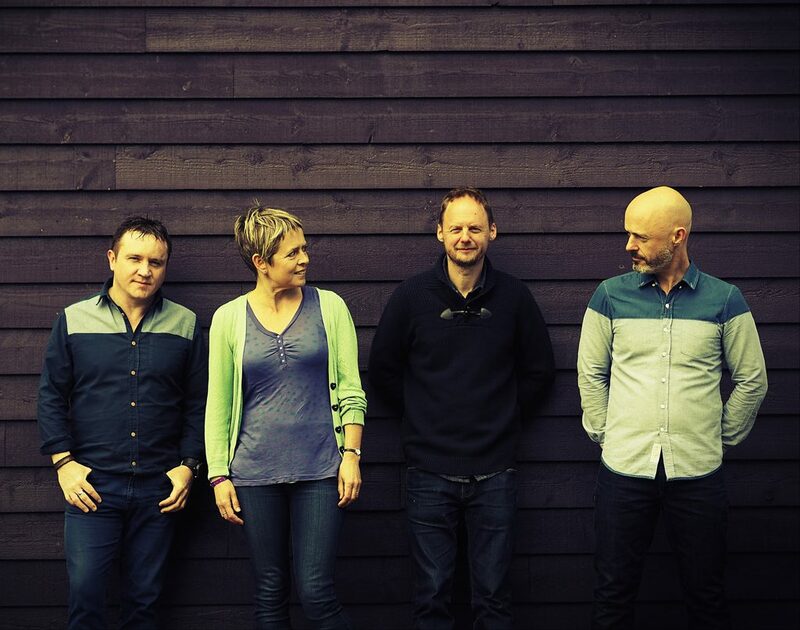 Flook announced that they were taking a prolonged pause from live performance at the end of 2008, but, due to overwhelming popular demand, they’re now back playing live and firing explosively on all four cylinders. Musical families are often the backbone of multi-generational continuity within that global community, and no musical family today is more impressive in upholding the best principles of the tradition than the Mulcahy’s of Abbeyfeale, West Limerick. Mick, Louise and Michelle Mulcahy play a dazzling array of instruments between them but it’s the sweetness and tunefulness of their ensemble playing that is most striking. They have an unmistakable, infectious sound and their skill and enthusiasm comes from a lifetime of playing together. Their latest family album ‘The Reel Note’ has received worldwide acclaim and was awarded, ‘Album of the Year’ by Tradconnect in 2017. 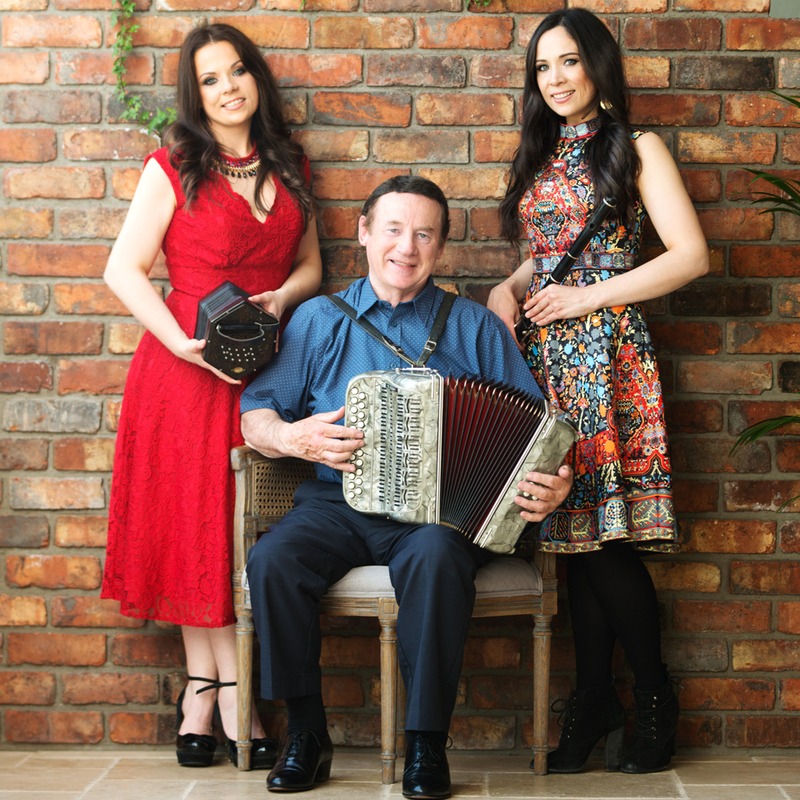 Mick Mulcahy is a living legend in Irish accordion playing, with a rare repertoire of old tunes which he plays in a highly distinctive style, a style of personal touch which distinguishes the work of the true traditional musician, a touch which has been passed down to his two daughters Louise and Michelle. Previous albums from the family include, ‘The Mulcahy Family’ recorded with the American Label Shanachie, ‘Notes From The Heart’ and ‘Reelin’ in Tradition’ which were recorded with Cló Iar-Chonnacht. Mick, Louise and Michelle have also recorded individual solo albums titled ‘Mick Mulcahy’, ‘Tuning the Road’ and ‘Suaimhneas’. The family has made a regular appearance in the top ten traditional albums charts in the United States, Ireland and the U.K. As a family they have toured extensively throughout Europe, America, Asia, New Zealand and Australia. The family has also featured on many television and radio programmes both in Ireland and around the world. Louise and Michelle were recently voted ‘Female Musicians of the Year’ at the Live Ireland Music Awards 2017. Mick was awarded the Bardic Award at Fleadh Cheoil na hÉireann in 2017. Michelle was awarded Tg4 Ceoltóir Óg na Bliana in 2006.